Sedums and hardy Succulents — hardy ground cover forms that can are hardy to at least z8. 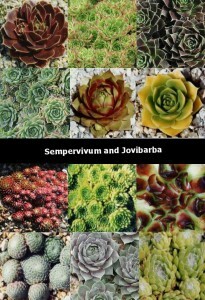 Jovibarba and heuffelii Succulents that can take severe winter cold. 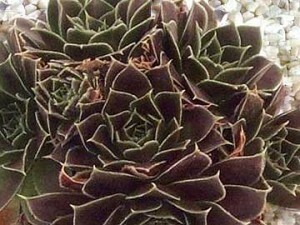 These ground cover Succulents: Low growing or trailing succulents of various color, form, and texture. Given proper drainage most are easy to grow, spread rapidly, and give great diversity to areas of special interest. Try them in a combination to make great container plants or a smashing rock garden display. Ground Cover Sempervivum Collection: 6 ground cover plants</strong>. Low growing or trailing succulents of various color, form, and texture. Six different plants, (Barerooted) for $19.95 shipping included. [wpepsc name=”Semp. collection mix” price=”19.95″] Full 2 inch pots. I made a comment on a GOOGLE + blog regarding a GIANT PEA and one reader said at least it was edible. !!! Can’t eat a Hen & Chick! 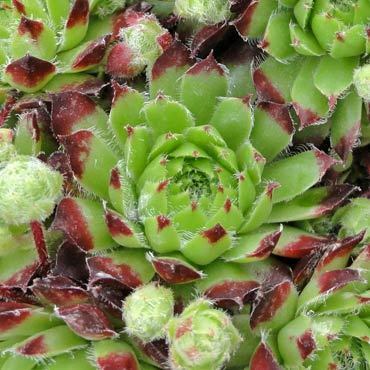 Actually YOU CAN, the houseLEEK, has been used historically and is used presently as a medicinal herb. It has no known side effects (aside from being an emetic. In medieval times, it may also have been used like Aloe to treat burns, insect bites, shingles and even gout. In large doses the Houseleek can be purgative so trying this large sucker would put me on the toilet seat for a long, long time. Might explain why deer tend to leave them alone.